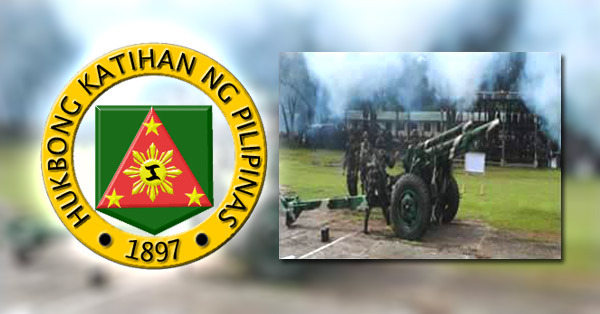 The Philippine Army is set to conduct a pre-qualifying examination for candidate soldiers. Here are the qualifications, requirements and how to apply. 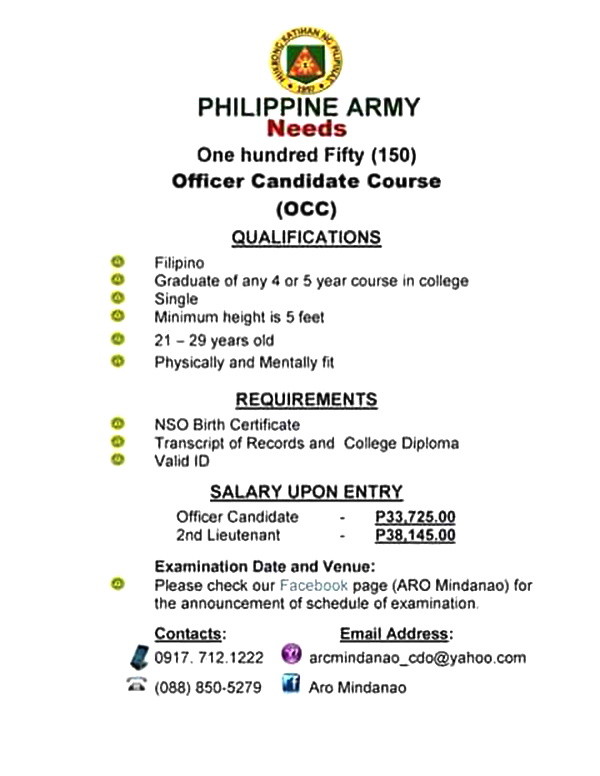 According to a poster shared on Facebook by Bala Tamayo, 150 individuals are needed for the Officer Candidate Course (OCC). To qualify, an applicant must be Filipino, a graduate of any 4 or 5-year course in college, single, 21 to 29 years old, and physically and mentally fit. The minimum height requirement is 5 feet. The documentary requirements are NSO certified birth certificate, transcript of records, college diploma, and valid ID. Upon entry, the salary of an Officer Candidate is P33,725 while the 2nd Lieutenant will receive a monthly compensation of P38,145. 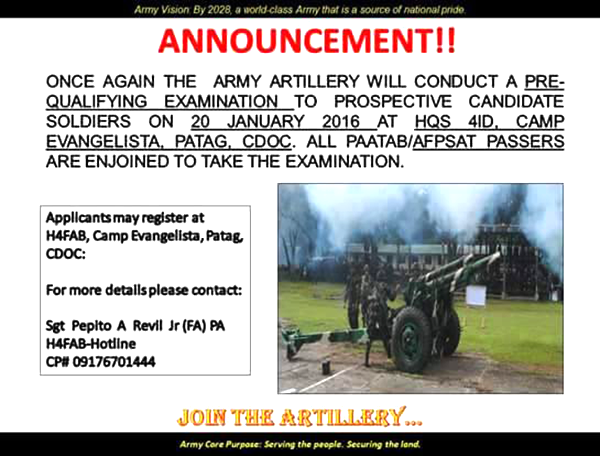 The qualifying exam will be held on January 20, 2016, according to a post on the Army Recruitment Office (ARO Mindanao) Facebook page. Applicants may register at H4FAB, Camp Evangelista in Patag, Cagayan de Oro City.